BLACK HOLE's rise from the bottomless pit of 80's Metal obscurity to, well, slightly less 2K+ obscurity and cultification is quite remarkable. It proves how trading circles and some internet buzz can help spread the word (and sounds) of a band long forgotten in the catacombs of time, finally giving them some of that attention and respect that they always deserved. They were certainly one of the most original Doom-bands ever to have immortalized themselves on vinyl and while they had more than a few rough edges about them, it feels a bit old to once again point out that they're an "accuired taste". 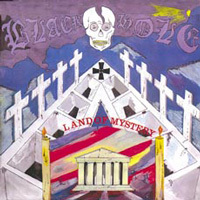 It's my firm belief that BLACK HOLE always had more Classic Doom Metal in them than they often get credit for, at least judging by their immense 1-hour+ "Beyond The Gravestone" demo and the now-legendary "Land Of Mystery" LP. The latter incidently had its first (?) digital review published on the old incarnation of the Metal Treasures page in 2003, written by yours truly and later added to The Corroseum's review archive. It is only fitting that this unique interview with the band's main man Roberto Morbioli, a.k.a. Robert Measles, a.k.a. The Mysterious Future finds a steady home in the Corroseum-vaults. This interview was conducted by writer Gianni Della Cioppa and originally published on the 4th of May 2009, in the 2nd edition of his book Italian Metal Legion (order from Andromeda Relix). It is used here with kind permission from the author and was translated from Italian to English by Marco "Nonseinormale65" Gulino... Hails! "Blind men, blind men... and oooooccuuuult foooorcis..." Robert Measles has always been mysterious and unapproachable, but this time the master of ceremonies of the obscure BLACK HOLE has granted this exclusive interview (the one and only he has ever released! ), after which he returned to take cover in the mysterious mists of the arcane... Gianni Della Cioppa: Hi Robert. We've known each other for many years and it is almost superfluous for me to ask you this question, but I make it for our readers: You were always a musically extrovert personality and full of curiosity, open to many sounds, but how was this morbid love for obscure things, for sounds mysterious created and how did you decide to apply it to the music? Robert Measles: Certainly it arises from a desire for culture. This brought me to the study of philosophy (even without attending university) with and in-depth ego, I would say almost childlike... It may seem trivial and maybe does not matter a lot in my background, but at the end of the 70's I was very impressed by KISS, because they combined a visual-style theater with their rock style and I thought to, in a sense continue the same thing, but in a more intellectual way. This was the dark rock I meant to create. 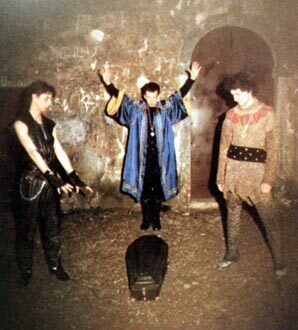 GDC: I can say without a doubt that you were among the first in the world, if not the very first, to combine Heavy Metal with new wave and dark rock, a sound that in the 90's, under the portrait of gothic metal (even in its one hundred facets) has become a real trend. 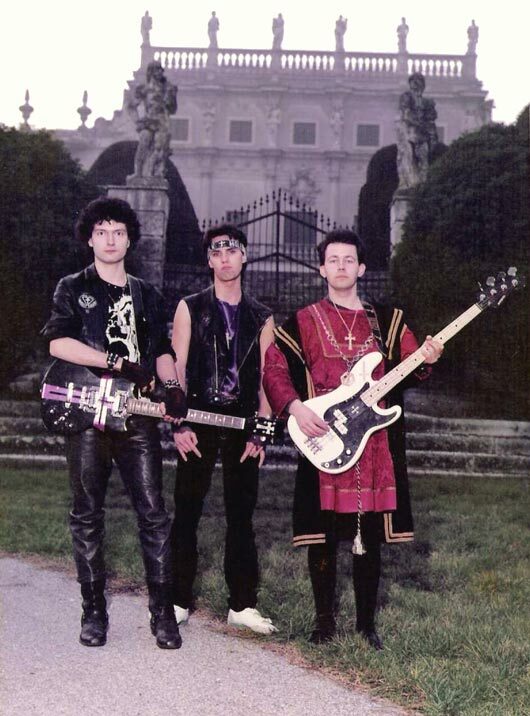 But not only so as a musician - in 1983 you indeed founded "Metal Thunder" (a fanzine that also involved myself) where you provided space not only for HM but but also to new wave and dark rock with reviews and interviews. At that time you also suffered attacks by purists on both sides. Today, do you feel in some way one of the beginners of this combination of metal and darkness? RM: I had a passion for all intellectual rock. In the new wave for example I liked Wire very much. 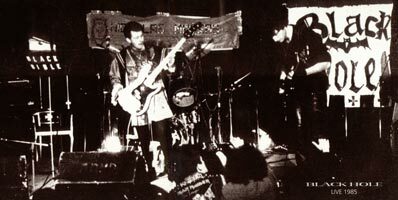 They had nothing to do with HM, but played an introverted form of rock. These particular things I have always drawn from, and then I thought that in rock so gloomy as ours was, the search of new solutions could give something new. 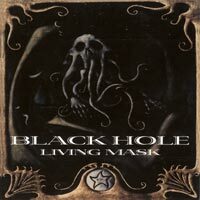 I refer to Living Mask of course, because our first album instead had its roots in classic Sabbath's doom, albeit with some facets of our custom. 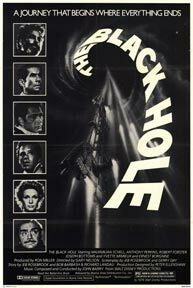 "...He had recently seen a movie with that title and since it contained the word "Black", I said it was fine..." GDC: Then you grow into the need to turn that passion into something even more "you", a real band, BLACK HOLE. Tell us how the group was founded and the objectives that you had set in advance. Why did you combine the music to the spirituality of man? I remember you were one who documented much, you read many journals. 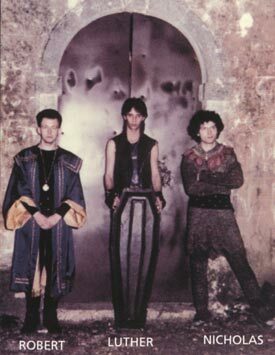 We have been together in stores where they sold esoteric items, we have visited gothic cathedrals, old cemeteries, cities in ruins and ancient places around Italy... RM: The band formed a little late compared to my passion for the esoteric, the afterlife and paranormal phenomena - topics that you can find in the lyrics. Just like what happens to many rock bands, all conspired from the meeting with the guitarist, Steve Fox Bianchini. As he played alone in his basement I asked him to form a band inspired by darkness, with gothic sounds with the lyrics concerning the afterlife and the search for the self; this gave him the enthusiasm and from there we started.